Timing Belt Job: OEM Honda parts or aftermarket from O'reillys or comparable? my question is, are there any comparable kits that run maybe around $200 and change that meets or exceeds the genuine honda parts? 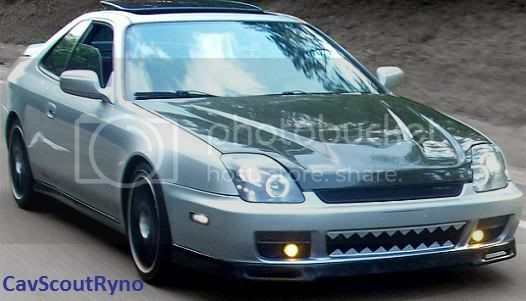 are the parts just more expensive because its a 5th gen prelude? Last edited by franticjelly; 08-06-2010 at 02:54 PM. Re: Timing Belt Job: OEM Honda parts or aftermarket from O'reillys or comparable? dude i recently had to make the same decision. its only like $100 difference, and piece of mind rarely comes cheaper than that. i made a thread a while back (couple months) and wrote out everything needed to change the t-belt and swap over to manual tensioner and price differences. When doing the Manual tensioner conversion, what belt am i supposed to use. Ive been struggling to get the h22 timing belt on. you use the normal belt. its gonna be super tight. the way i did it was to keep the tensioner pulleys loose, put the belt on everything else, then slide it on the tensioner and then tighten it down while guiding into place. putting the belt back on was one of the most difficult parts. however there is a special tool, i dont know if autozone might have it but in the helms manual it shows these belt guides that fit on the end of the cam gears and allow the belt to slide on. i just got back from honda today having the timing done. i bought a kit on ebay and it seemed to be pretty legit. the car drove home fine lol. but we will see.